The use of felt - Refima s.r.o. Its elastic structure makes felt an ideal material for the prevention of squeaking and whistling due to the friction of materials. 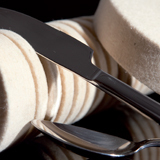 Felt can be utilised in different densities for packaging and wrapping, and it can be used for anything from filling empty space to providing highly effective absorption and suspension. 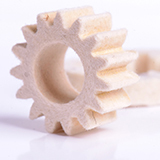 Elasticity is an inherent quality of wool fibres, enabling wool felt to be used as an excellent gasket material. 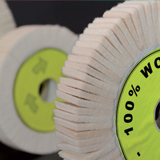 Wool felt can be used for polishing, semi-glossing, and removing scratches from metal and plastic surfaces, or marble, granite, and glass products. Wool fibres and felt process naturally keep the heat and absorb liquids. 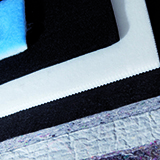 The fibre and elastic structure of felt results in the absorption of vibrations. 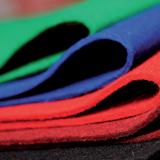 Felt reduces sound transfer, absorbs noise, and is also used as a functional and decorative sound barrier. 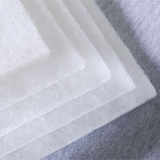 Wool felt has a porous structure and built-in capillary channels, which improves its absorbability and enhances the transfer of liquids. These absorbed liquids are slowly released through felt, serving as an efficient lubrication agent. 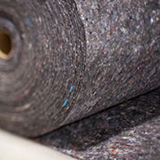 The porous quality of felt is exceptionally suited to absorb and prevent undesirable particles, like dust or carbon, etc. 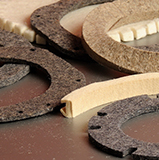 Felt is also capable of long-term resistance against the influence of water, oil, and other chemicals. 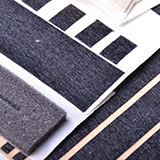 Qualities like elasticity and durability enable wool felt to be used as “pressing mat – padding” in steel operation centres during scission and cutting. During this activity, felt also helps to clean and remove impurities from the steel roller. 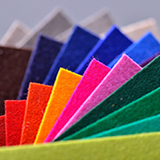 On top of the standard utilisations of felt, it is an ideal material for various decoration and design purposes, due to its unique qualities, brilliant colours, and elegant appearance.